Our French Rivera golf tour personifies luxury. The tour allows you to embrace spectacular scenery, play excellent golf courses, plus enjoy the culture in Provence while staying at premier hotels. Arrive at Nice Airport where you will be greeted by your driver providing transfers to the Four Seasons Provence Resort at Terre Blanche for check-in. 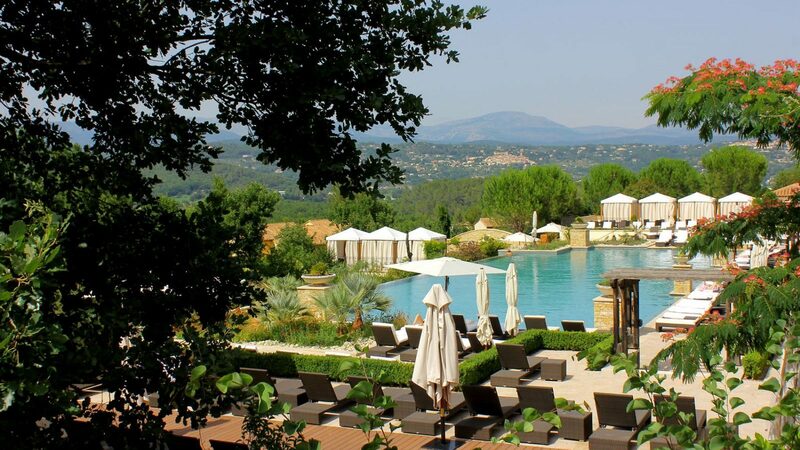 Terre Blanche is nestled in the hills with views as far as the eye can see, this chic 5-star resort with impeccable golf courses, award-winning cuisine and one of Europe’s most beautiful spas is just a short jaunt from the French Riviera. Echoing the vistas of the bucolic hilltop village, the luxury Resort’s buildings are connected by meandering walkways and gardens. The rooms themselves are 1- and 2-storey villas clustered down the rolling hillside in the South of France. The resorts conveniently boast 2 of the best golf courses in southern France, Le Chateau and Le Riou. Play golf at the Le Chateau at Terre Blanche course located at the 5 star Terre Blanche Resort and was designed by Dave Thomas. It winds through pine and oak clad hills and valleys providing golfers with sweeping views of surrounding villages and the Southern Alps. A long and demanding course with several water hazards to test the skill of the advanced player. This afternoon it’s sightseeing in Saint-Tropez, a wonderful seaside village with legendary reputation for both quality of life and its architecture including the fortified citadel. Visit the small village of Gassin which overlooks the peninsula of St Tropez. As far as the eye can see, the deep blue sea contrasts with the tender green of forest and vineyards. Play Le Riou at Terre Blanche which is also at located at the Terre Blanche Resort and designed by the British Architect Dave Thomas, the course is slightly shorter than its neighbor but the terrain is hilly and the fairways narrow with many doglegs providing a challenging round. Afternoon sightseeing in Saint-Paul de Vence a tiny Provencal village famous for its painting galleries. Located between mountains and sea, the medieval village of St Paul, from its 60 feet rocky outcrop, overlooks the surrounding landscape, with the Mediterranean Sea and the Cap d’Antibes, the Alps and the Esterel Mountains. St Paul’s landscape, natural site, architecture and buildings are the third most visited historical site in France. Play Cannes Mougins which opened in 1923, the Cannes Country Club was founded by prestigious members such as Prince Pierre de Monaco, Aga Kahn, or Baron Edouard de Rothschild. Its original design was signed by Colt and Simpson, the most famous architects in the twenties, and then redesigned by Thomas and Alliss in 1978. This parkland course has hosted the Cannes Mougins Open 14 times. The clubhouse is set in a magnificent stone wall estate overlooked by an 18th century oil mill and surrounded by oaks, pine-trees and fields of jasmine. Check out of the Four Seasons Resort and check-in to your new accommodations at Mas Candille, a magnificent 18th century Provencal Mas (farmhouse) nestled on the hillside above Cannes. This 5-star hotel, within 10 acres of private manicured lawns, winding paths and a generous smattering of rich green cypress, olive and pine trees, is barely noticeable until you reach the grand entrance gates. Perfectly positioned high up in the valleys, there’s the medieval town of Mougins, former home to Picasso and current champion of gastronomy, on its doorstep, and Cannes is just a short drive away. 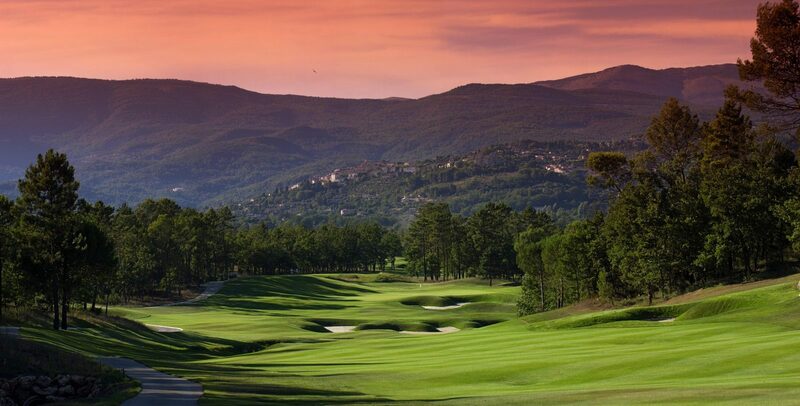 Play Royal Mougins, set in a wonderful Provencal landscape, Royal Mougins is a private International Golf Club ranked as one of Europe’s best. 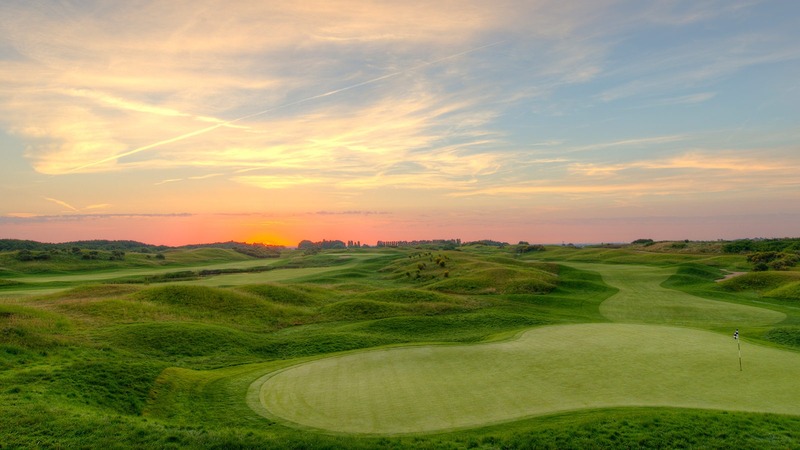 Robert Van Hagge created an exciting and spectacular golf course where club selection is a key point to keep the ball in play and avoid the water hazards. This afternoon enjoy sightseeing in the former middle age fortified village of Mougins. Perched 900 feet above sea level, this wonderful Provencal village overlooking Cannes and the Riviera has attracted by its multiple charms many artists such as Francis Picabia, a surrealist painter or Picasso who lived here for many years. Renowned for its floral parks, Mougins is made of tiny streets winding around in a spiral and is the perfect place for art, craft and shopping. Break from golf this day to enjoy luxurious and sophisticated Monaco and its city, Monte Carlo. Monte Carlo is renowned through its casino in front of l’Hotel de Paris. Monaco is a glittering two-square-kilometer country born on the rocky cliffs in 1215 and has managed to stay independent for most of its 800 years. A medieval castle once stood where the palace overlooks the sparkling harbor today. On the way back to the hotel spend the afternoon with a visit and shopping in thriving Nice, where Italian and French flavors mix to create a spicy Mediterranean dressing. Walk from Old town with its shaded streets host simple bars, and upscale art galleries to the famous seafront Promenade des Anglais. Climb up Castle Hill at the north end of the promenade for a 360-degree view of Nice, the Alps, and the sea. Play Chateau de Taulane, this challenging course was designed by Gary Player and is set in the heart of Provence Mountains 3000 feet above sea level. The course surrounds the chateau in a wild and natural landscape, offering spectacular views of the mountain ranges. Both the 9th and 18th holes end in front of the chateau with a huge double green defended by a water hazard. Spend the afternoon with a visit and shopping in thriving Cannes. Today best known for its Film Festival the city was originally marshland only settled by monks. It was not until the nineteenth century when English aristocrats decided to build in the area that Cannes began to take shape. Cannes like Nice is also a renowned seaside resort where the sun always shines. Check out of your hotel and depart France from the Nice Airport.